Save the date: December 7th 2018! 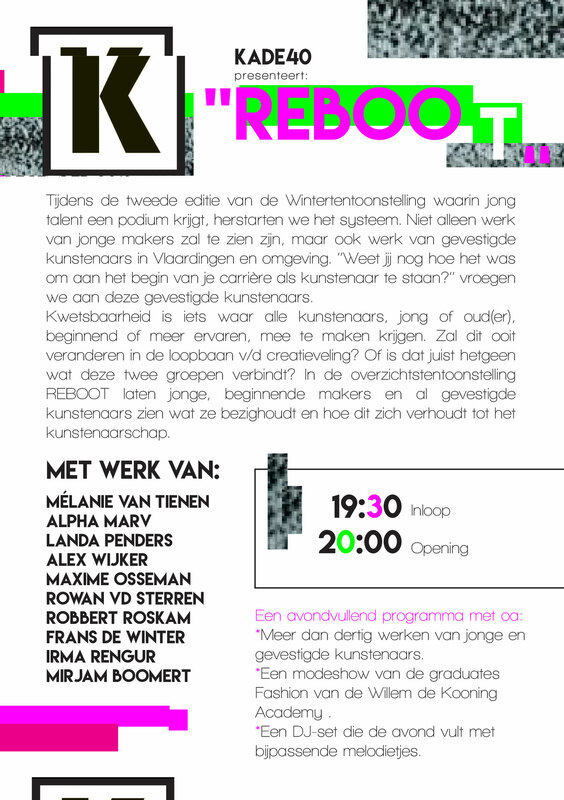 The opening of the Wintertentoonstelling named REBOOT is taking place and you're invited. 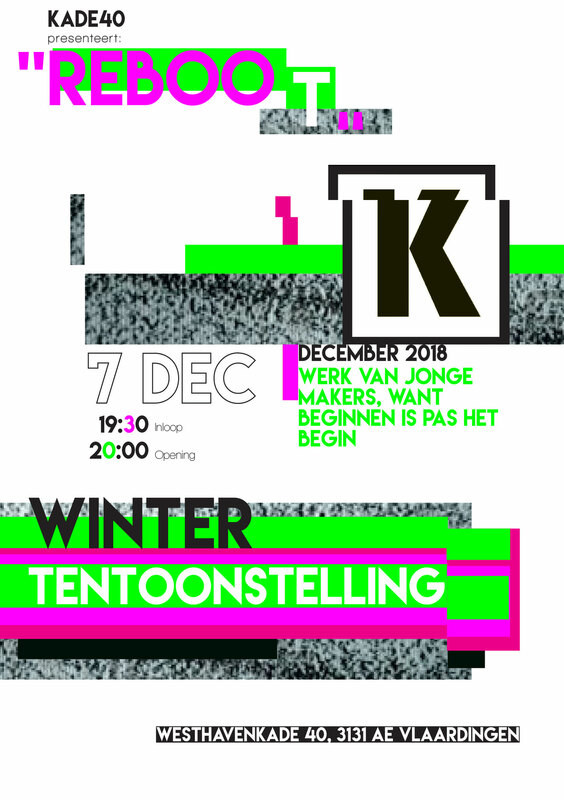 The beautiful gallery KADE40 is hosting this exposition that shows over 30 artworks by young and established makers from in and around Vlaardingen. We stand still by thinking about how things were at the beginning of starting a career in the arts. Vulnerability and insecurity are often taking the lead in this stage of a young maker. In this retrospective exhibition REBOOT the young and established makers will show you what's on their mind and how that gets to be made into art. The work I'm showing is a mixed media series of analogue photography and digital manipulation and illustration. To be honest, I am feeling a little vulnerable and insecure. How will the audience interpret my work and will they instantly see what I'm trying to hide? Hmmm. I hope you can make it to the opening night! There will be a fashion show by graduates of the Willem de Kooning Academy and a DJ with visuals made by another maker that's exhibiting. The doors open at 19:30 and the official opening starts at 20:00. Will I see you there?